As soon as he hit the stage, Laurent Garnier launched into abstract house techno with industrial undertones. Deploying his arsenal of machine-driven beats with professionalism and know-how, the legendary DJ and producer set the tone for the rest of the evening. 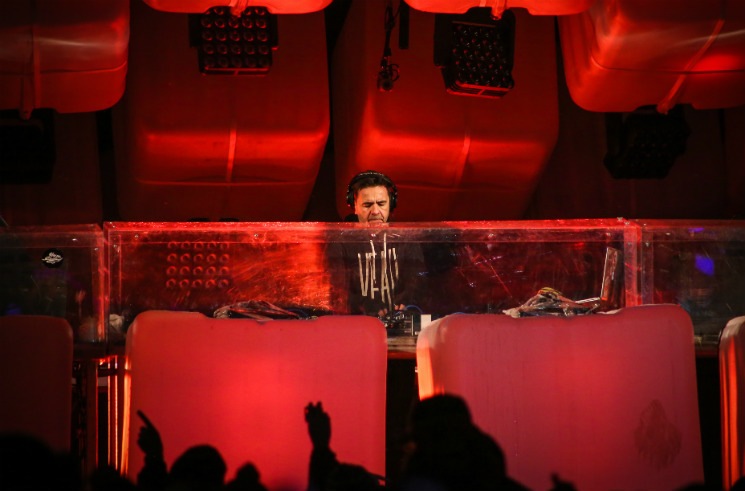 Known for his eclectic mixes as well as his minimal productions, Garnier prepared a set custom-made for the headlining stages of festivals. Indeed, the fist-pumping crowd that amassed on the Jacques-Cartier dock cheered every song, completely ignoring the cold wind and the snow. This was the Laurent Garnier they came to hear. Keeping a steady pace through his two-hour performance, the DJ's set is powerful, almost violent at times. The aggressive drums and relentless bass common in deep house are pushed a nudge further, managing to keep the rowdy crowd engaged, but also sacrificing a certain fragility present in some of the more open-minded mixes featured on his radio show.